As the name suggests the employee newsletter is very similar to a news feed. In a newspaper you get updated about what is going all around you. It has different segments and sections carrying different genres of news. Some segments are meant to be informational while others are for entertainment and recreation. 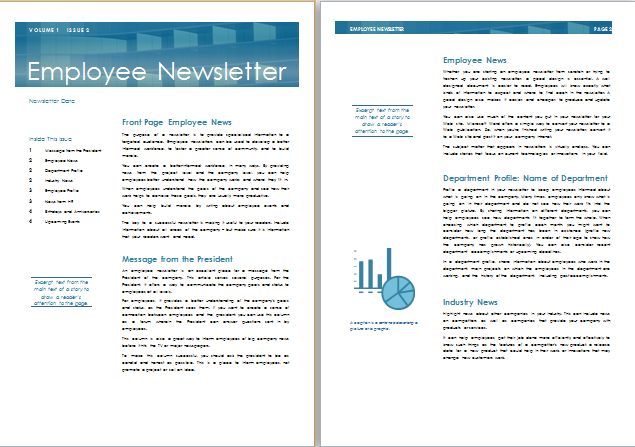 The purpose of employee newsletter is more or less similar to this. More importantly it is for the internal communication of a company. It fulfills the need of spreading information, updates, rules and any new update across departments. It is essentially a means to communicate within the organization. Generally the employees take part in giving their input in the newsletter. This way they can also voice their opinions to others and to the management especially. This typically breaks the silos and everyone feels important and central. Another great benefit of a newsletter is that it reduces the pressure of individual communication and emails. A general announcement just has to be made in the newsletter. Contrary to the burdensome individual intimation a newsletter is an easy dissemination of the information. The best news letters need to be crisp and to the point. The employees cannot spend a lot of time reading useless information. So avoid making the news letters too wordy. Online templates can help you form a well-designed newsletter. You can change the format according to your needs and segments. 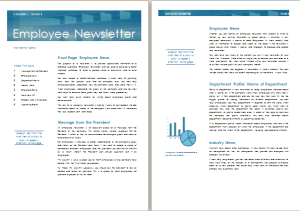 The online newsletter formats have made designing the outlook of the newsletter very easy. However the words need to be as impressive.